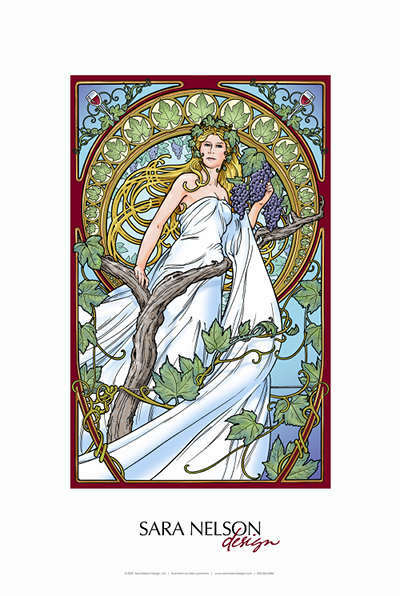 Sara Nelson, of Sara Nelson Design, has generously contributed a fine-art print entitled “Wine Goddess,” by Herb Leonhard. This beautiful fine-art print measures 24″ x 36″, is printed on water color paper, and will be signed by the artist. Retail value is $500.00. Sara Nelson Design will ship free of charge to the winning bidder. Opening bid is $250.00. Minimum bid increment $10.00. I’ll raise my hand for $250 to get started. I will go to $300.